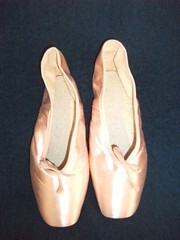 Last year, I remember stumbling upon a photo of Chaoqun pointe shoes. The only information listed on the site back then was an email address to an international supplier so I didn’t follow-up on it. 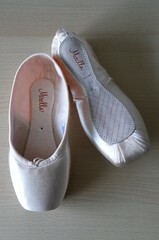 Today, I found more information about the Chaoqun brand pointe shoe from China. Finding the official website was wonderful. The Chaoqun Shoes Manufacturing Company, Ltd is located in Yantai City, Shandong, China in the northeast part of the country. 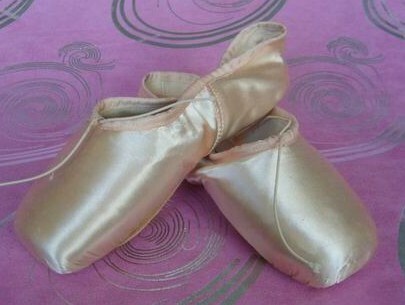 Chaoqun has been producing and manufacturing dance supplies and shoes for over 30 years. They supply retailers in several countries like Australia, Korea, Europe and the United States. 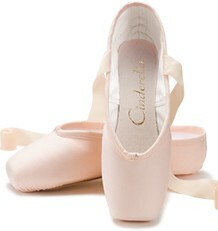 Not only does the Chaoqun company make pointe shoes, they make tap, jazz, hip hop and modern dance shoes as well. 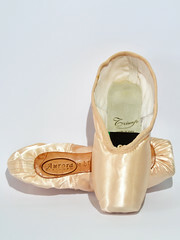 The Chaoqun website has 7 different slipper models and offers 1 pointe shoe model. 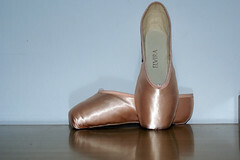 Unfortunately, the pointe shoe model for sale is just a picture and has no specifications. I’m not sure if it has a model name or not. 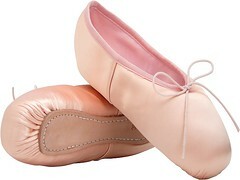 You can see all the dance supplies that Chaoqun of China has to offer by visiting their website, www.chaoqunshoes.com. This entry was posted in Chinese Brands and tagged Chaoqun pointe shoes, Chinese pointe shoe brands, pointe shoes made in China. Bookmark the permalink. I love the tall box and the color of the satin. 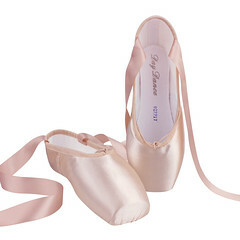 I wish more pointe shoes had elastic drawstrings when I was wearing them. I agree, Liz- the satin looks like a nice quality material and I like the color too. It would be wonderful to examine a pair in person. When I was a student, I don’t think elastic drawstrings were invented yet.